I swore I’d do one of these every month, but I think April pretty much slipped by without me noticing. Reading lots and lots of blogs is something I used to do on a regular basis and I’d find a whole bunch of new reads, but as I work full time now I’m finding it a little harder to devote a few hours to just that (which is sad!). Buuut, last weekend, I got all of my work done on Saturday so spent a good 3-4hrs reading and I’m hoping to do that today too. Bank holidays, yay. Hope you find some new favourites! I Style Looks | Akila’s blog is the first I’ve stumbled on for a while which left me instantly in love. Everything from the photos to her style to her amazing grey locks, it’s the perfect aesthetic balance. Definitely one to read and follow! Tobruck Ave. | I actually fell head over heels for this lookbook post and that’s what sucked me into scrolling through the archives of this wonderful blog. Kiara’s has great style and has that LA dreamy look that I love. Style by Joules | I’ve followed this lovely personal style blog for what seems like forever now and, while other blogs have fell to the wayside, Joules’ blog has stayed a firm favourite. I love her clean images and approach to photos – such a gorgeous blog to spend a good half hour scrolling through. Waiste | Sara is basically a 70s dream. She has the aesthetic I wish I could have – the perfect mix of hippie and rock’n’roll and I seriously love her style. I wish I could wear a pair of flares half as good as she does and her home is a complete dream too. La Visualiste | A relatively new blog find, but one I can see myself always coming back to. If you like your clothes to be minimal, white black or grey – Chariza has you covered! I love her photos a whole lot and wish I could be a blonde every time I look at them. More Than Adored | As you can see by the photo above, Sarah takes a beautiful pic which matches the rest of her perfectly executed blog. She posts a mix of beauty, lifestyle and fashion, but it’s her range of beauty posts that I like reading the most. Thumbelina Lillie | Not only is Megan from up North, but she’s a truly lovely person with a blog to match. She writes some really informative and pretty beauty posts and does youtube too – make sure to check them both out and leave her some love! Callie Rose | I think I’ve followed Callie for ages on Twitter now and always click on her new posts when she publishes them. Her beauty ones stand out most to me, as her photos are always so well put together and I find her posts quite refreshing! The Misty Mom | Shari’s blog is such an old school read for me and I mean that in the sense that I’ve been reading it for what seems like years! I love the layout of her blog and her beauty posts are just so lovely – definitely one to read if you like big, bright pics! Cluttered Closet | Kal is proof that sending over blog links in blogger chats = people reading your blog, as that’s where I found hers! I love reading her reviews on individual items or collections, as they’re thorough but still have lots of personality so you want to keep reading! Eight Shores | A stunning blog with so many beautiful photos. They all have that wistful filter kinda look, but they’re very much an escape. Sharon’s blog is the perfect place to spend a gloomy Sunday afternoon like today. Warning: It’ll make you want to travel to her end of the world as I know it’s shot to the top of my list. Love Aesthetics | I’ve talked about Ivania’s blog before, so I won’t go into too much details, but her minimal super clean aesthetic always makes me so happy. She’s mostly fashion based, but her DIY’s and other posts are equally as fantastic. There’s something about her style that makes me want to clear out my wardrobe and start again (in a good way) as it’s so perfectly executed. No. 21 | If you like marble, white, pink and a bit of a dreamy look – this blog is for you! 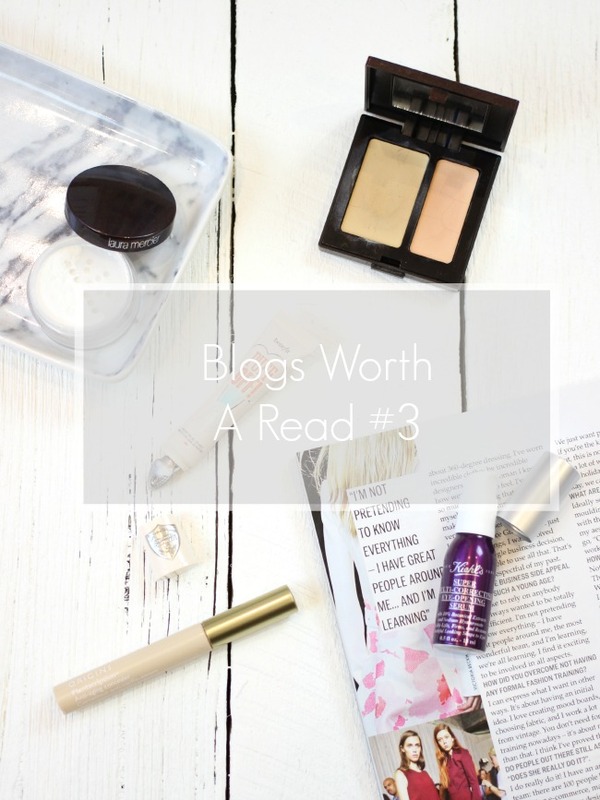 There’s a great mix of posts and my favourites have to be the lifestyle ones! Milk Bubble Tea | We all know and love Becky, right? If you can get past how adorable Oscar (her dachshund) is, you’ll find the rest of her blog matches. Despite being on the opposite end of the girly spectrum to me, I still find Becky’s blog to be absolutely beautiful, from her photos to her writing – it’s all worth a read ! Britton Loves | And last but not least, we have Lauren’s lovely blog. Posting about everything from what’ll make your skin better (hint: drink lots of water!) to healthy lifestyle tips and recipes, she has everything you need all in one place for a better approach to living. She’s super sweet too – bonus!